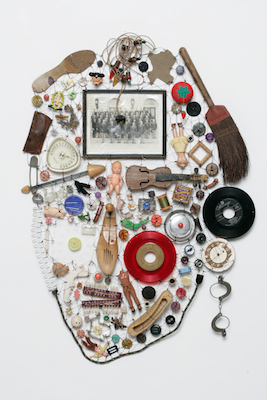 Lisa Kokin's work in artist's books, mixed media installation, assemblage and sculpture is about memory, history, and social commentary. Her work has been exhibited in numerous solo and group exhibitions in the United States and abroad. A recipient of a California Arts Council Individual Artist's Fellowship and a Eureka Fellowship from the Fleishhacker Foundation, Ms. Kokin's work is in numerous public and private collections.